I’m pretty sure that you have noticed that power banks are must have equipment with your smartphones these days. 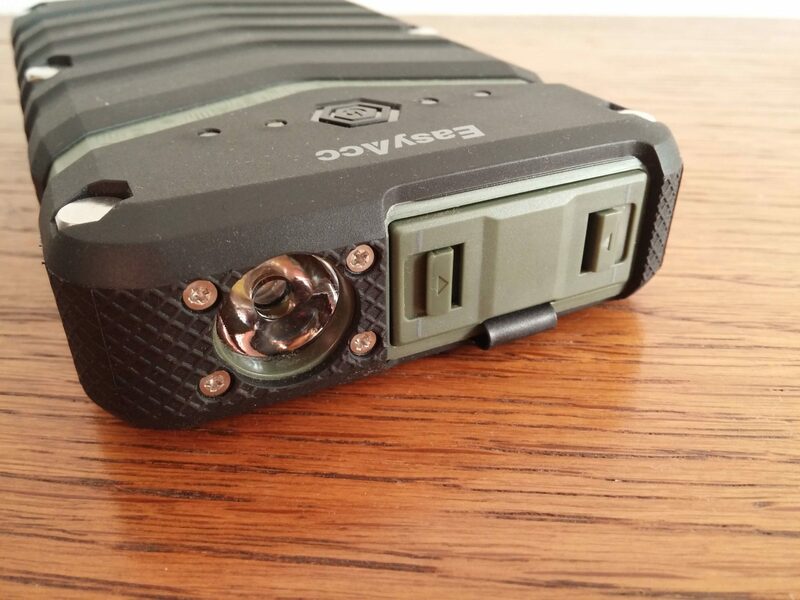 Recently EasyAcc company has introduced first rugged power bank in the world under the name TP20000-BG. For me this was not surprising because lately we can see many other products with IP67- IP68 certification. But still it is really cool to have power bank which is actually waterproof, dustproof and shockproof. 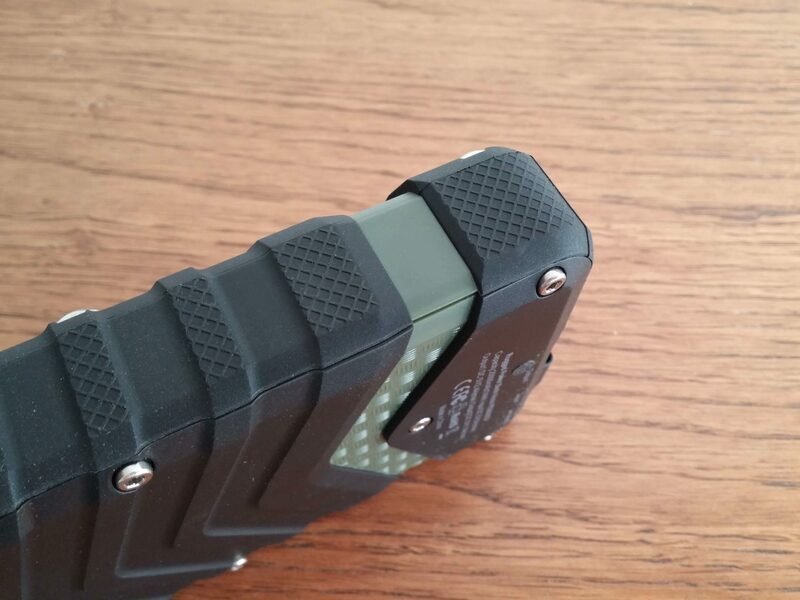 So in other words it has IP67 rating, meaning that it can be immersed under 1 meter water for 30 minutes. 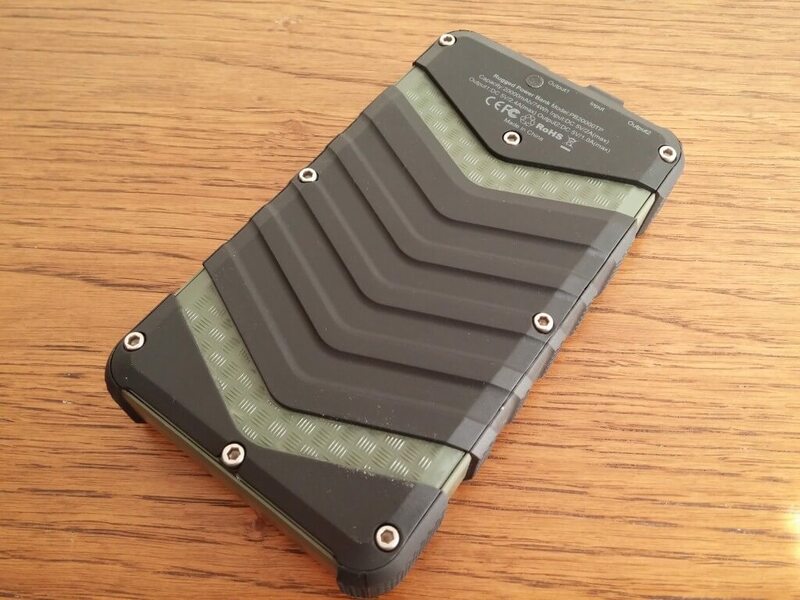 With an IP67 rating and rugged design this power bank can easily resist any potential problem. 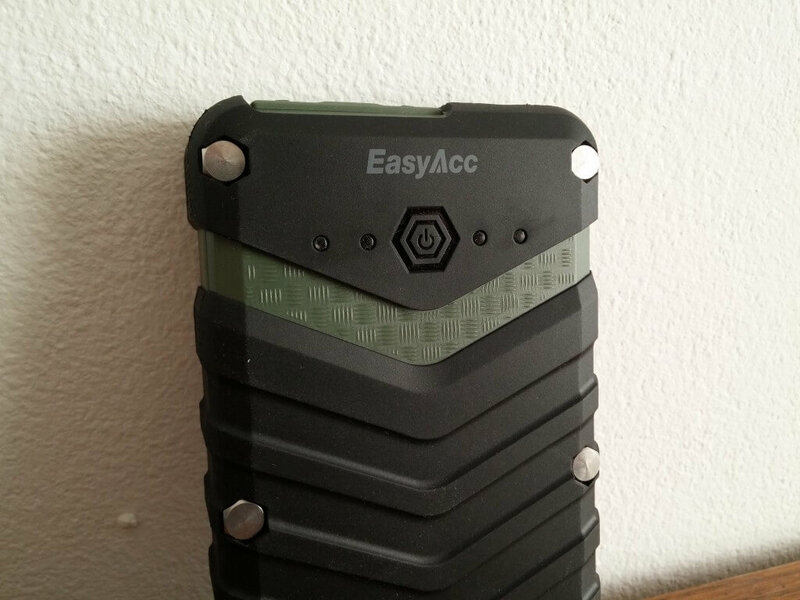 EasyAcc rugged power bank resists water, mud or bumps in outdoor activities of course with waterproof lid closed. EasyAcc TP20000-BG looks tough and powerful including military design with black and green combination. 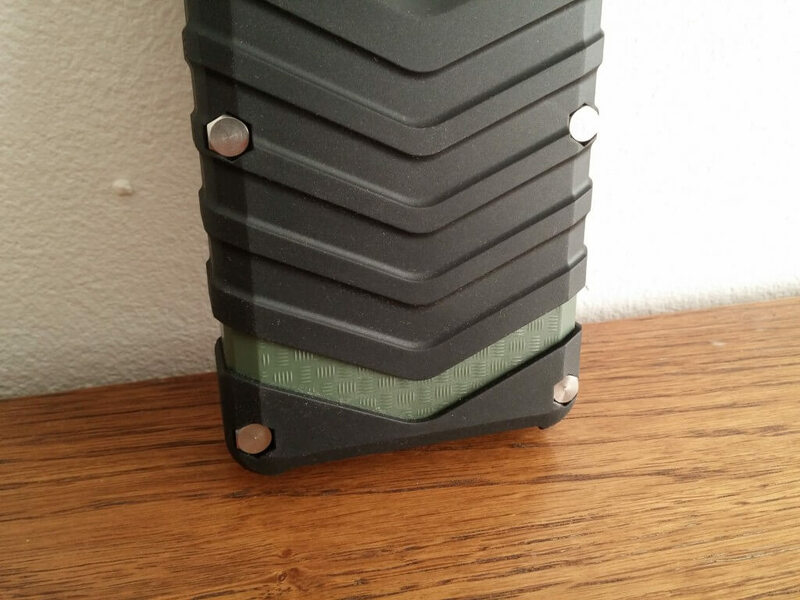 The case is made of strong industrial-grade plastic ensuring high build quality. 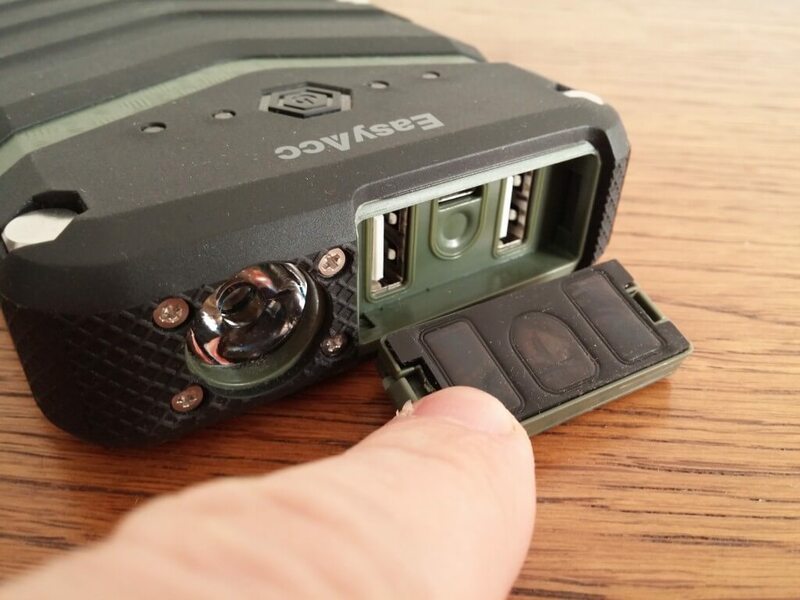 The case is hitched additionally with screws which provides additional strength. It is also interesting because it is CE, FCC, RoHS certified. On the front side it has waterproof lid where inside are 2 USB ports for charging and one Micro USB port for charging itself. Beside is located strong LED light which has several functions like SOS. 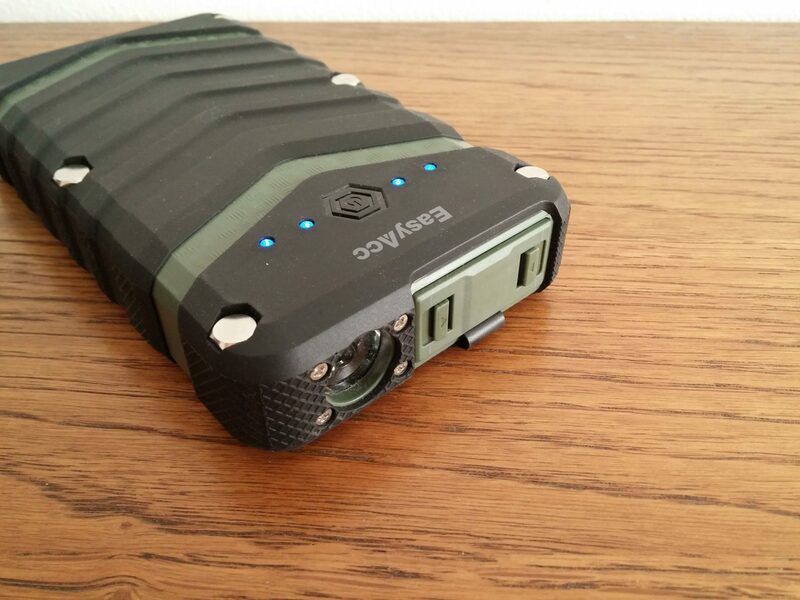 As I said earlier this rugged power bank has two available USB ports for charging other devices like smartphones. It supports fast charging 5V 2.4A max depending on your device, so you can easily charge your smartphone really quick. Of course you can at the same time charge two different devices. For charging the battery itself you have available Micro USB port which is in the same place like USB ports. It is inside and it is protected with waterproof lid. Because mostly power banks have high-capacity it supports also fast charging for itself 5V 2A input max and you need approximately 12 hours for fully charge. Thanks to high-capacity which is actually 20000mAh according to the EasyAcc you can charge for example iPhone 6s or Galaxy S6 seven times. 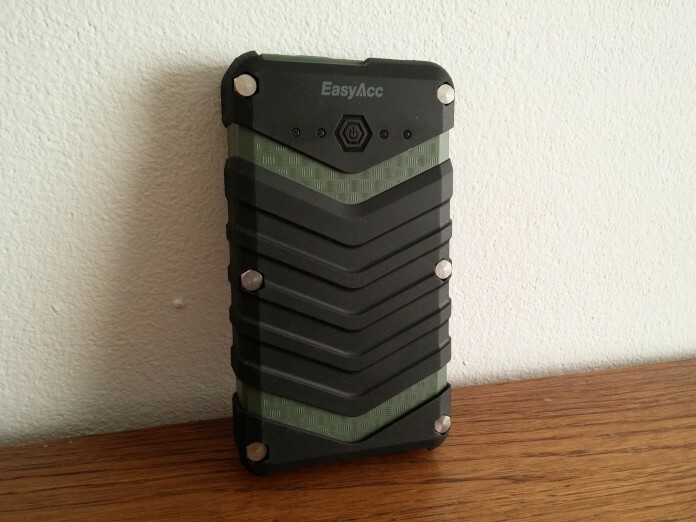 According to our tests EasyAcc TP20000-BG has approximately 18900mAh which is definitely great. So we can say that the capacity is real and you don’t need to worry about that. 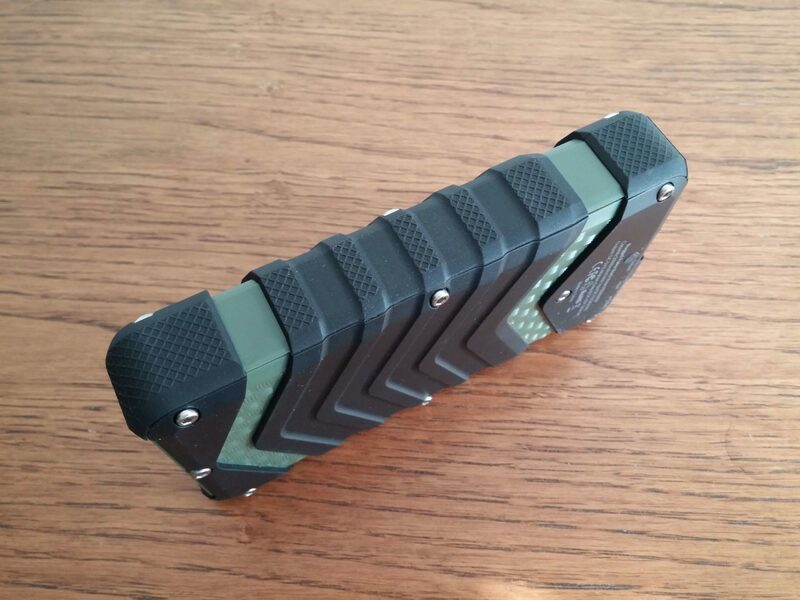 Overall I am very satisfied with build quality and design, of course I am satisfied with capacity of the battery. So EasyAcc has done again a great job with rugged power bank. If you are interested you can buy it really cheap at Amazon.